More than 80% of the population in UK has or had, at least one filling. Professor Hill from Queen Mary University of London, presented the first evidence on dental fillings that can greatly repair tooth decay. The focus is on new bioactive glass composites which have an ability to release fluoride, calcium and phosphate, all important for forming tooth minerals. This new bioactive glass creates alkaline environment distracting bacteria that initially caused the decay. There is an initiative for eliminating mercury based amalgam fillings by 2020. 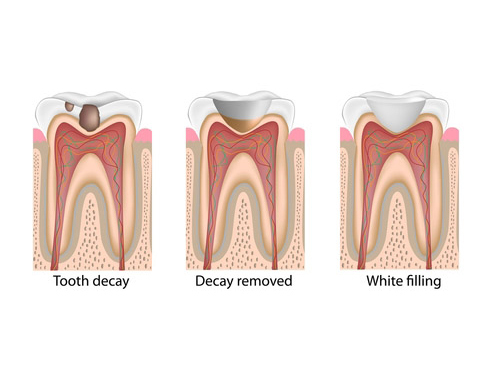 Bioactive glass composites can replace the need of using amalgam and provide white filling which helps heal the tooth.